Congratulations on purchasing your new VIC20 Penultimate Cartridge. This is the point where people normally stop reading the instructions. You can stop if you like, it should be reasonably intuitive to use so you shouldn't need instructions. But read on, there are a few hints and tips that may be useful. 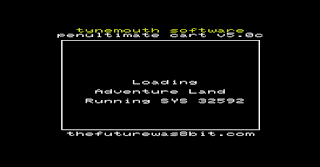 These instructions relate the firmware revision 5.x on the menu driven carts. Those with version 4.x firmware can get updates, contact me for more information. 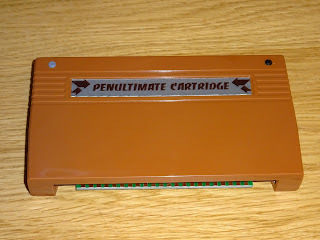 The cartridge PCB can be used as is, or can be fitted in the shell of an old cartridge. The section at the top sticks out of the slot at the top of the case to allow you to access the menu button when it is closed. There will be a fully cased version available soon with a custom injection moulded cartridge case from The Future Was 8 Bit. 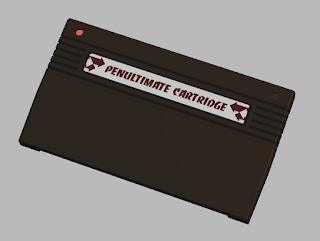 Step 1, install the cartridge. 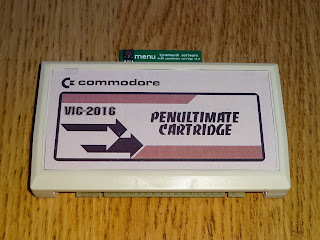 Should be obvious, but the VIC20 should be turned off first, and the cartridge inserted with the label facing upwards. With the PCB version, it should be located centrally in the edge connector. 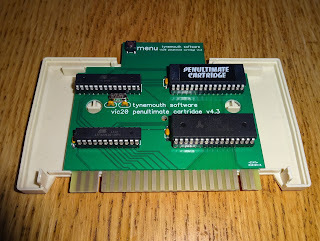 With the cartridge installed, power up the VIC20. You should see the first page of the menu. If not, check the cartridge is properly installed. From this page you can do many things. You can get back to this page at any time by pressing the menu button on the left hand side of the cartridge. 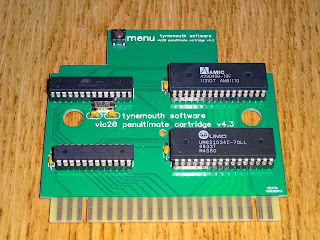 If you have a reset button on the right, this will reset the VIC20 and restart the current selection or exit to BASIC. Use the menu button to get back to this screen. 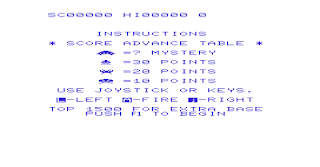 You can use the joystick to navigate the list of ROM cartridge images. 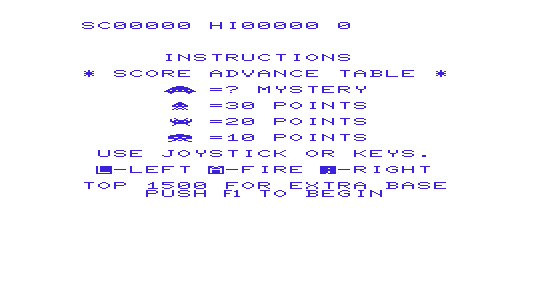 As soon as you move the joystick, one of the titles will be highlighted. Up and down scroll through the list, left and right change page. Once you find the one you want and click fire. 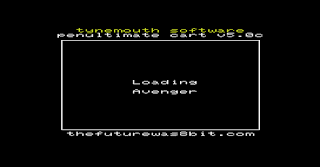 The cartridge ROM will be switched in and the game should immediately start. 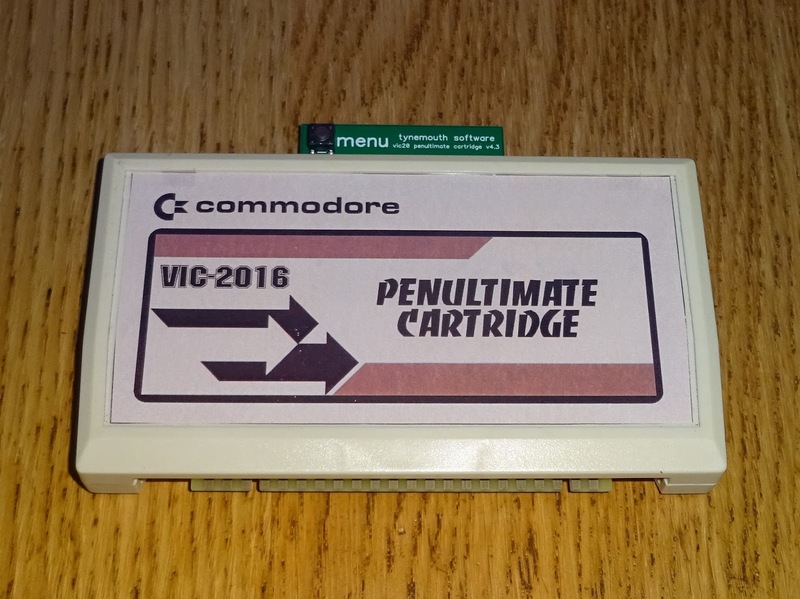 Some VIC20 cartridges will start offset to the left on PAL machines, this is normal and how the originals behave. Many of these cartridges let you use the arrow keys to centre the screen. 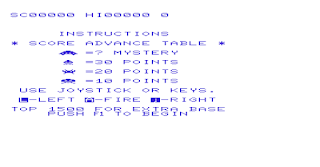 When you are finished with a game, press the menu button on the cartridge to get back to the menu. 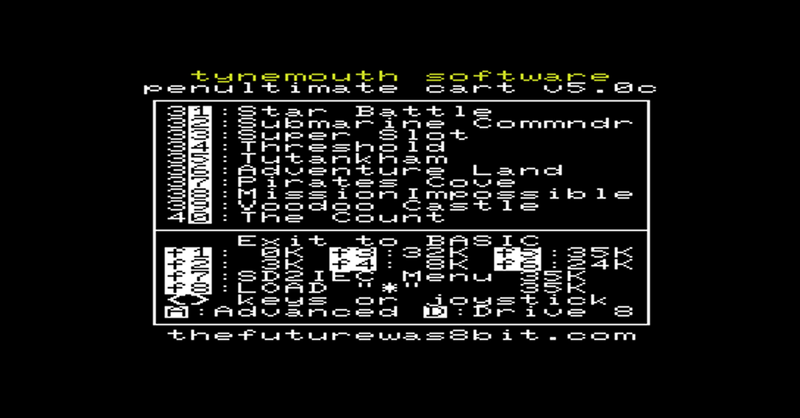 You can also use the arrow keys or < and > to scroll through the pages of ROM cartridge images. 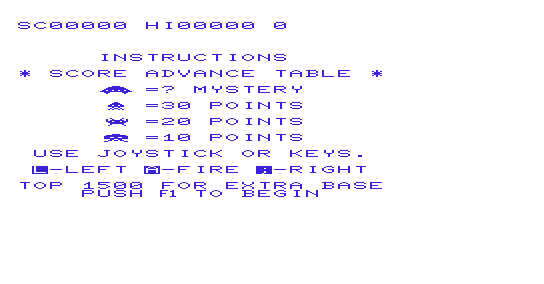 To load a cartridge, press the number highlighted in white. 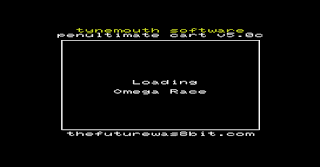 For example, Omage Race is 23, with the 3 highlighted, so press 3 to start Omega Race. That ROM will be switched in and the game should immediately start. 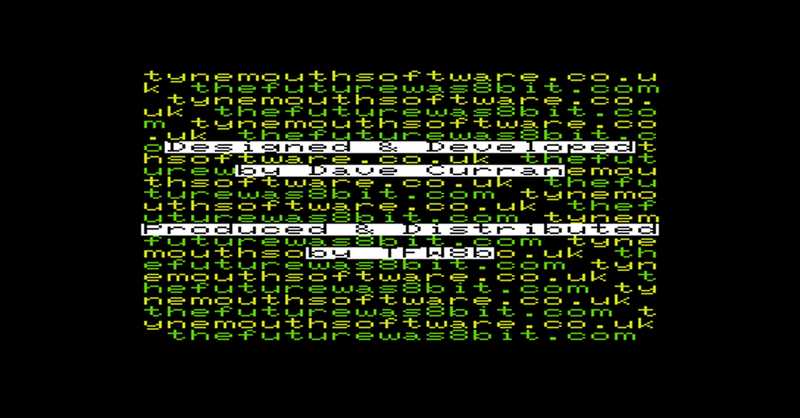 The forth page contains some text adventure games. 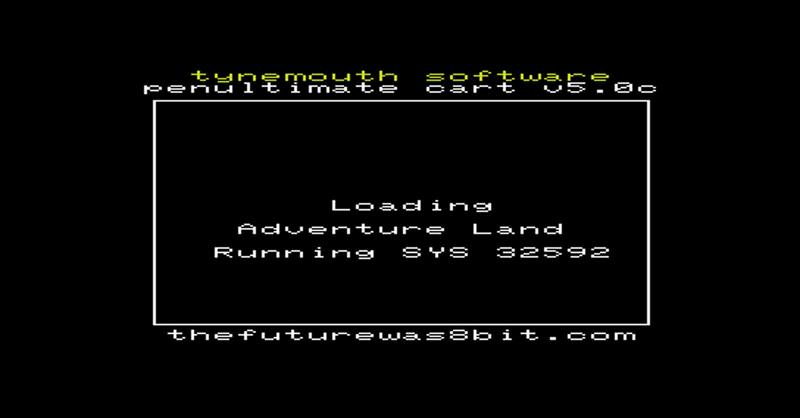 These used to require the user to type 'SYS 32592' to start, this is now automated, so just press the number and the adventure will begin. 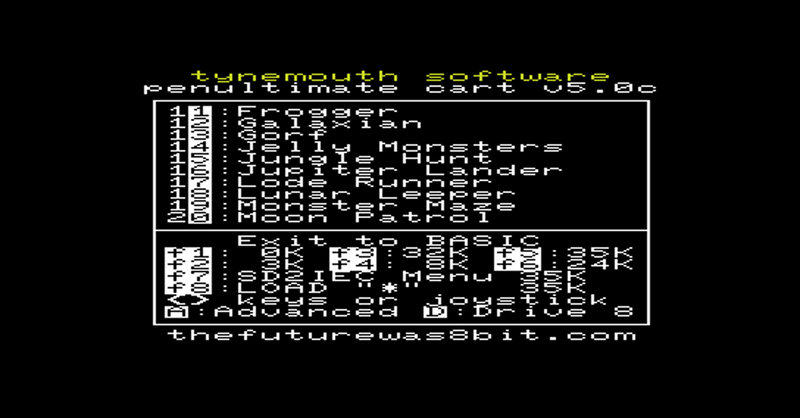 The fifth page contains some utility ROMs. The VICKIT 4+5 option is a tape speed loader and assembly language monitor. BASIC 4 is an update to VIC20 BASIC 2 which adds disk handling commands such as DIRECTORY and DLOAD found on the PET and Plus/4 etc. Note when this is selected, block 5 is used by the BASIC 4 ROM, so is not available. There are two unlisted shortcut keys here, from any screen, press V to start VICKIT 4+5 + 27K RAM, or B to start BASIC 4 + 27K RAM. Super Expander is provided with the original 3K option, or the maximum 27K available. The default program is the first file on the disk, the one which would be loaded with LOAD "*",8. The last two options load from drive 8 by default, but you can press D on the menu screen to cycle through 8-11 if you don't want to start from drive 8. When selecting RAM in block 5, it will be cleared before the VIC is started. This is to remove any auto-start cartridge images that may have been copied there on previous sessions. 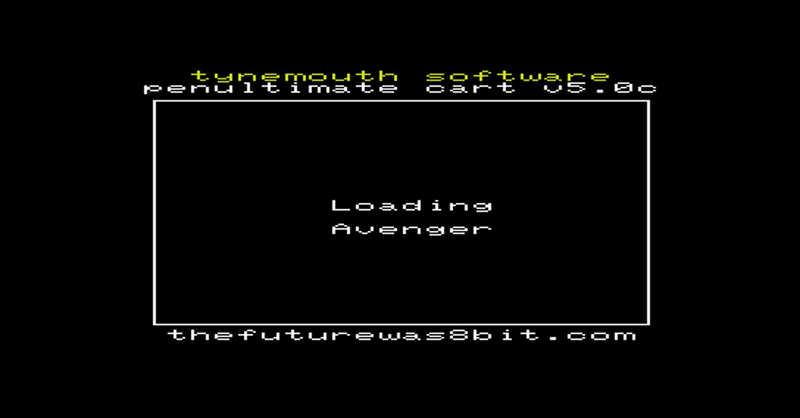 From the main menu, you can also press A which will switch to the advanced menu. Here you can select from various combinations and RAM using the number keys 1-8, then press f1 to exit to BASIC, f3 to lauch the SD2IEC file browser and f5 to load the default program from disk. 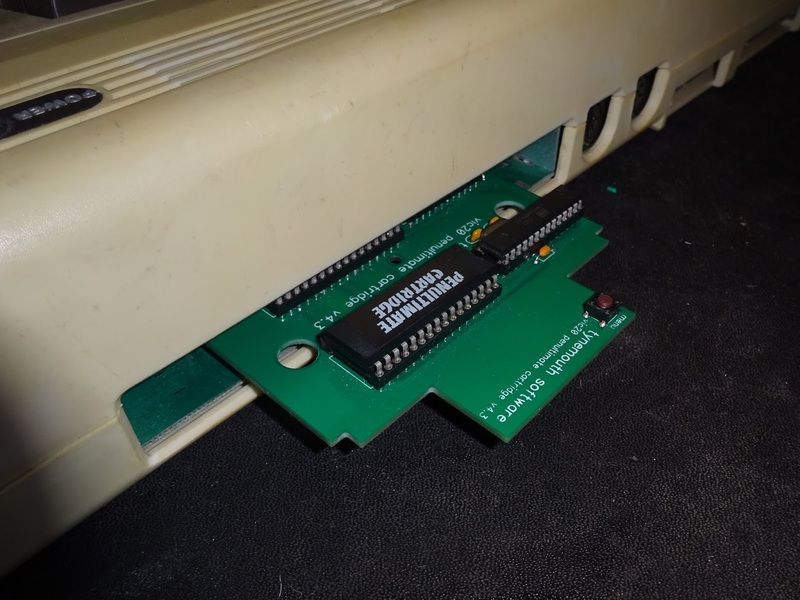 If you have a Jiffy DOS ROM installed in your VIC20, that will speed up access to loading from disk. 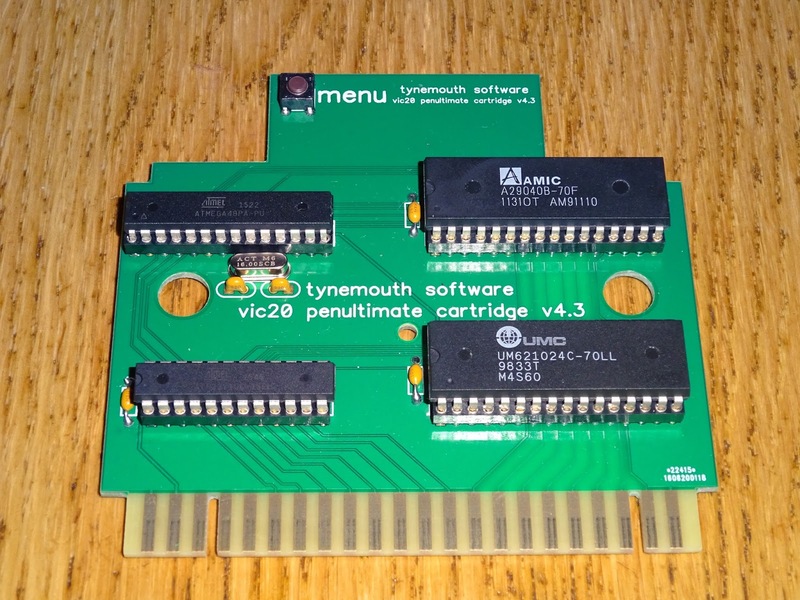 It is possible to create you own ROM image for the Penultimate Cartridge if you want to change the selection of cartridges or add your own. I will provide full instructions on that later if there is any interest. 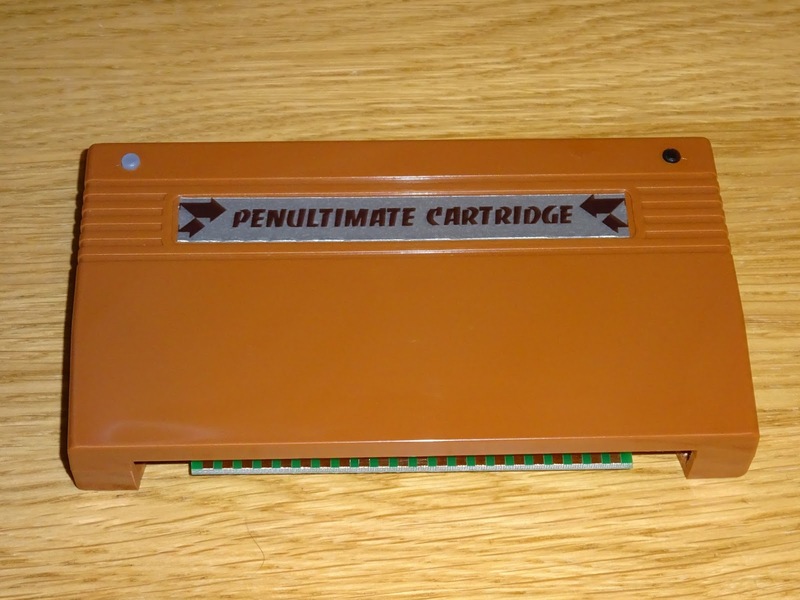 If you have got this far and haven't ordered your Penultimate Cartridge yet, go and preorder one now. 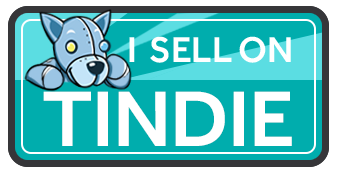 Or if you prefer, buy an uncased version now. The first run of cased cartridges is now here, more photos of those and the test program.